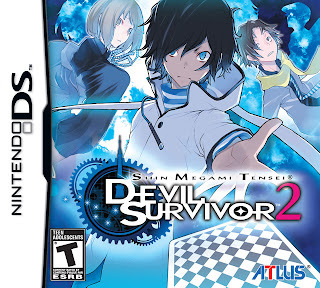 Note: Copy any of the above Devil Survivor 2 (USA) rom download links and paste it into your browser to download. how can i defeat dubhe? it reflects all my normal attacks and blocks all my magic attacks. You have to walk to the blue space first,then an event will occur to let you fight dubhe.If it did not occur,it means that the AP is not letting you to play the game. yeah, that event did'nt occur. What is an AP? And How am I going to fix this? AP is a code written in the game which stops you from playing the game.Think about it,if all the people download the game from the internet,the game publisher is not going to make any money right?So they put a code to stop you from playing it. But you can surf the internet to find ap patched game file or update your firmware to the latest version. Ahh the game freezes on the second battle.Anyone would like to help me for this issue? Play it in No$zoomer and happy gaming. I can't use the ROM I'm dying for it,what should i do it only displayed a white screen. is there anything i can do??? the rom work in r4 flash player?? ?